Hey local food fans! 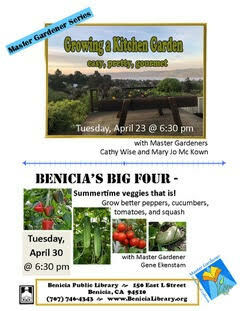 We are excited to announce that Eatwell Farm in Dixon is planning to distribute their CSA boxes in Benicia! Eatwell grows all organic vegetables and fruit, and also offers essential oils, flavored salts and pasture-raised chicken eggs. 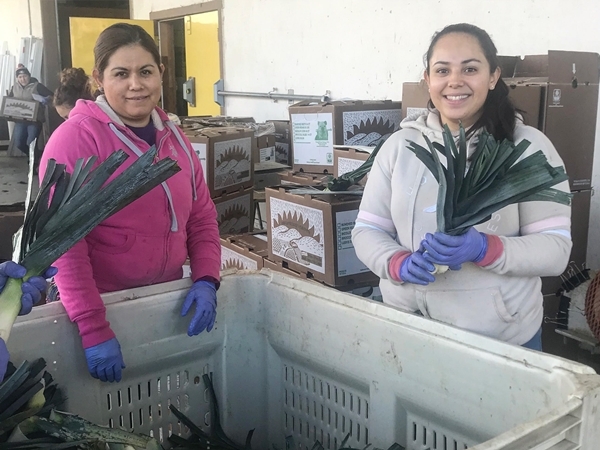 Eatwell has been supplying the Bay Area with their wonderful farm-fresh products for over 20 years, and they are now the first Solano County-based farm distributing in Benicia. Not familiar with CSAs? CSA stands for community-supported agriculture and is a vital part of building a local food system. Participants commit to buying regular boxes of seasonal produce and other farm products directly from local farmers. This gives subscribers the freshest local, healthy produce, while also supporting a local food system. With a CSA, local farmers can retain a greater share of the money paid for the food they produce and there are the environmental benefits of not shipping food over great distances. 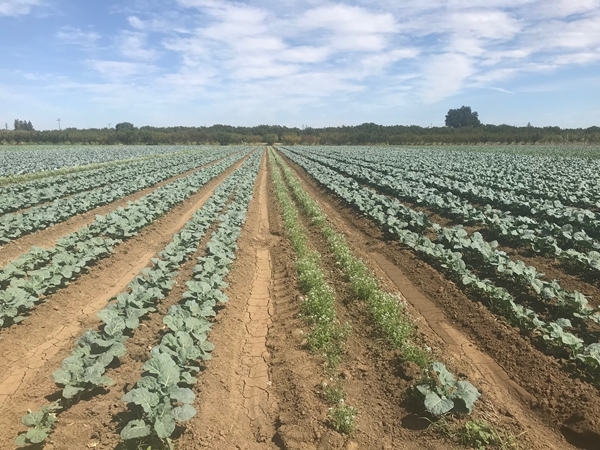 Located near Military and East Second Street, Sustainable Solano’s CSA site in Benicia features both a central location for pick-up as well as complementary products from other farms (meat, eggs, fish, pantry items, etc.). It’s one-stop shopping for truly local food! Let’s support our local food economy and eat healthy food at the same time! If interested in subscribing to Eatwell’s weekly box, please contact Noelle at organic@eatwell.com or 707-999-1150 or create a log-in account and sign up for Eatwell Farm here. 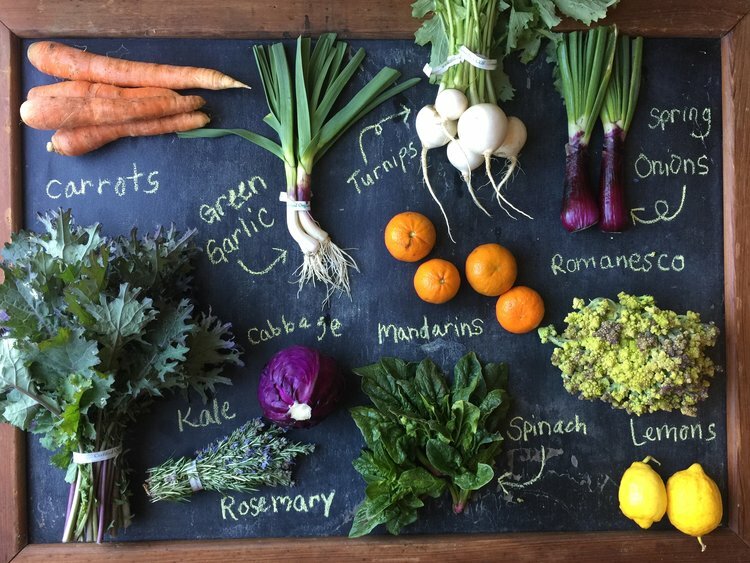 We wanted to share with you some recent musings from our partners over at Terra Firma Farm in Winters on the recent closing of S.F.-based Munchery and why these startups are not the solution our food system needs. As Terra Firma Farm’s Pablito points out, there is value in putting our money as consumers into local farms with sustainable practices. By buying local produce, money stays within our communities, farmers are able to retain more of what is paid for the food they produce and there are environmental benefits from having produce travel shorter distances (and our tables benefit from having the freshest, most flavorful produce). There are many ways this local food ecosystem manifests, including local restaurants and caterers that source locally grown food, such as League of Chefs or BackDoor Bistro; food co-ops, such as the Cultivate Community Food Co-op that is selling ownership shares; and CSAs (community supported agriculture) that connect consumers directly with growers. If you live in the SF Bay Area, you have probably heard the news about the prepared-meal delivery company Munchery, who shut their doors and their bank accounts recently without paying their vendors or employees. I’m sorry for anyone affected by this incident. Many TFF subscribers have already read my opinions about venture capital-funded start ups that promise to “shake up” the food business. 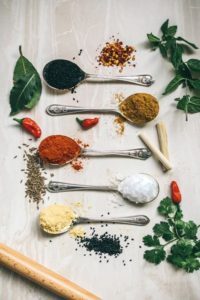 They offer things that existing business owners know are simply too good to be true: Extensive freebies and free delivery along with dubious claims that all their ingredients are locally sourced from organic and sustainable farms. And they all claim to do this in the interest of “revolutionizing the food system”. But their only real goal is to make themselves wealthy if and when Wall Street takes them public in an IPO. There are numerous problems with this model. The first is the idea that food should be cheaper than it already is, and technology can make this happen. That is simply untrue. The profit margin in the farming and food businesses is low; there is literally no fat to be removed. And nothing that companies like Blue Apron or Munchery did fundamentally changed those economics. The founders who ran these companies were either naive, ill-informed, or simply lying. And as stories from inside these businesses start to leak out, it is clear they were also poor and inexperienced managers. Second, food is a mature market with a relatively fixed demand. Munchery and the others have not created new products, but rather taken market share from existing restaurants, supermarkets and other companies. Their only advantage was the free money from venture capital. Other businesses could not afford to spend more than they make in order to compete. Thus, the VC-backed startup model in this instance was not “disruptive”. It was profoundly anti-competitive. Third, the companies they were competing against are better run. Lots of people can run an unprofitable business if they have an endless source of someone else’s money. Established business owners are the ones who have figured out how to be sustainably profitable. And yet these were the businesses that Munchery and the others were impacting or eliminating. Fourth, Venture Capitalists are not held accountable. Sure, VCs are putting their money at risk when they finance companies like Munchery. But that risk should not be limited to the funds they have already invested. Munchery shut down without paying its employees or vendors, and it’s unlikely many of the creditors will get much out of their bankruptcy. The VC firms that retain an ownership stake in a startup should be legally required to make good on all the company’s debts when it fails. This would raise the bar on what type of companies venture capitalists fund, forcing them to spend more time evaluating the viability of startups and ensuring that they retain enough funds to pay their debts if and when they shut down. In the end, the business model of Munchery, Blue Apron and so many others in the sector had only one real goal: to take business from thousands of small businesses and outsource limited profits to Wall Street. It was a terrible idea all around, and certainly not good for our economy or society as a whole. I have sent a letter to my state Assemblywoman asking her to look into legislation requiring VCs to cover the debts of the companies they fund. I believe it is in the interest of the state of California to more strongly discourage VCs from funding companies that they do not have absolute confidence in. Small businesses in this economy need all the protection they can get, and face numerous layers of regulation that raise their costs and lower their profits. Wealthy Venture Capitalists should be subject to regulation and oversight that is just as strong, or stronger. This article originally ran on Terra Firma’s site. Interested in joining a CSA? Find out more on our website and check out our list of local farms that serve the county. 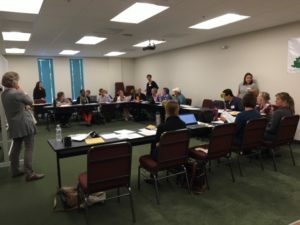 Sustainable Solano’s Local Food Advisory Board had their third meeting on September 18, 2018. This group was formed to support Sustainable Solano’s Local Food initiative, launched in October 2017, with the help of a USDA Local Food Promotion Program planning grant (to see a full list of Advisory Board members, click here). The meeting was graciously hosted by Solano Community Foundation in Fairfield, CA. (Many thanks to all the SCF staff who helped with set-up, lights and technology!) The meeting began with an overview by Elena Karoulina, Executive Director of Sustainable Solano, who stated that our original project – examining the feasibility of Community Food Centers in Solano County’s seven cities – has outgrown itself. We have gone beyond the grant and are now envisioning a larger Solano County Local Food System, which will require an alliance among farmers and other stakeholders in the County. The USDA working group studied existing demand segments in the County: charity food, retailers, prepared food businesses (i.e. restaurants), and institutional customers. 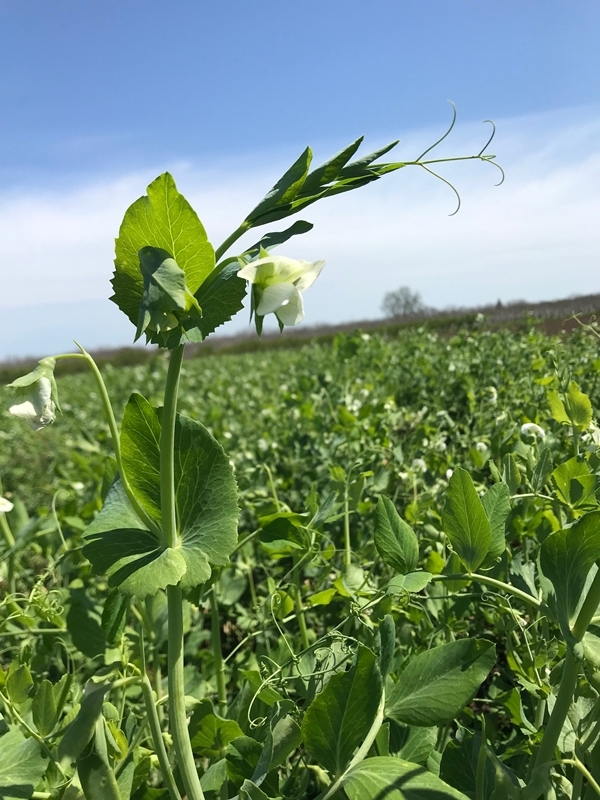 To get a better sense of the supply – and really understand the needs of our local farmers – we reached out to over 50 local farmers in the County and conducted interviews. We have at least 12 farmers who are interested and willing to work on the vision of a sustainable, local food system in Solano County. Another area of study was successful business models, which we could use as a springboard for our own business plan. These groups included Ceres Community Project (Sebastopol), Three Stone Hearth (Berkeley), Fresh Approach (Concord), Capay Valley Farm Shop (Esparto) and Sierra Harvest (Nevada City). Next, Kristin Kiesel of UC Davis provided a summary of the data collection process. Her team has been working to map out the supply in Solano County as accurately as possible. They used data from aggregated data sources, including the 2012 Ag Census and 2017 Solano Crop Report. Disaggregated data (farm-level data) was available via the interviews by the working group, and Certified Producer Certificates, which farmers acquire so they can sell at farmers markets in Solano County. Her next step was to see where these data sources all connect and to identify the overlap. Also, she and her team have formal requests in to the U.S. government, to acquire more detailed and current Census data. All of this data, and the resulting findings, will go into the feasibility study for the project. Following this report was an open discussion around what type of business plan makes sense, for our next step. Simone Hardy, Solano County Agricultural Commissioner, also provided a brief history of Solano Grown, and where it stands now. Greg Morrison and myself summarized a 6-week pilot, where he organized logistics of getting local farm products to a kitchen, I cooked dinners (using local product availability as the base for my menus), and then those dinners got delivered to the participants. We need to strengthen the infrastructure of Solano’s agricultural community – perhaps in the form of a farmer’s collective/co-op. Farmers need the most assistance with marketing and distribution of products. We need to build community awareness and education around the value of local food, and the system that would support it. We are considering partnering with Economic Development departments in Solano’s cities. We should connect farmers to institutions first (as opposed to end consumers), to ensure consistent demand. We need sustainable relationships between farmers and their customers. We need strong partnerships with organizations and stakeholders, within the local food system. When considering food access, our best efforts will be in “farm to school” program implementation. Our planning process needs to include as diverse a group as possible (i.e. minority farmers, diverse community members). The meeting ended with everyone listing on paper the values of a local food system. We will compile these values and let that guide us forward. We’ve all heard at least some of the benefits of eating local: fresher produce, better for the environment, contributes to a stronger local economy. Shopping your local farmers’ market is a great way to support your local farmers and eat seasonally. But before you grab your shopping bags and head to the market, you’ll probably want to make a shopping list. But just what is in season? Take the guess work out of what fruits and vegetables are growing in your area right now by using the Seasonal Food Guide, your farmers’ market cheat sheet! With data on more than 140 fruits and veggies in all 50 states it makes it easier to eat seasonally. Also find tons of recipes, preserving techniques and serving suggestions for all your fruits and veggies, along with great tips for buying and storing. It’s the perfect tool for planning menus, creating shopping lists and looking up recipes before heading to the market. Visiting a new city and curious about what’s available? Check the Guide. Download the Seasonal Food Guide App for your personal pocket guide to seasonal food wherever you are! You can set reminders for when your favorite produce item is at a farmers’ market near you. For a list of Solano County Farmers’ Markets, click here. I once came across a birthday or anniversary card that said something like this: “I love it when you whisper those 3 little words in my ear…..Let’s Eat Out!” It’s true. Making dinner has become something we all love and hate at the same time, and the complexity surrounding it is likely multiplied by how many jobs/children/after-school activities/deadlines you have. Even as a trained chef, I find myself at times guiltily turning to easy, processed food from a box (i.e. mac & cheese!) for my two boys on any given weeknight. More truths: the demand for prepared food has become stronger, and the quality of some prepared foods has become very questionable. Wouldn’t it be nice if someone were around to cook you healthy dinners, made from ingredients that came from local, organic farmers in Solano County? Well, that is exactly what has been happening for the past 4 weeks. In mid-August, I began working on a pilot program with Cultivate Community Food Co-op – funded by Solano Department of Public Health – which I’ve been calling “Community Supported Dinners.” These dinners are much like what we envisioned within our original Community Food Center model – homemade meals made by local chefs from local ingredients. The main purpose of this 6-week pilot is to test costs, logistics and other factors involved, which will provide us with information to fine tune the vision. Greg Morrison (Board Treasurer of the Co-op, and on our USDA Local Food Advisory Board) has organized a distribution plan to get raw food products from the farms to me in the commercial kitchen at Vallejo’s Dan Foley Cultural Center. Deliveries come Monday and Tuesday mornings, and by Tuesday afternoon, my assistant Veronica Bearce and I have meat or vegetarian dinners cooked, cooled, boxed, labeled and ready to get delivered to folks in Benicia and Vallejo. Speaking of Veronica, she is also the chef-owner of Veronica’s Veggies, which specializes in vegan food. The participants for this project are largely Co-op members (sorry – it’s not open to the public yet! ), who also have the option to purchase raw ingredients directly from the farms through an online ordering system. 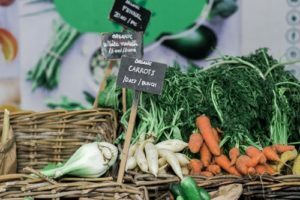 Feedback from the farmers has been positive, because they can get direct-to-consumer sales without having to stand at a farmers market or utilize other resources to get their products to people. Fresh produce for the project comes from Eatwell Farm (Dixon) and Lockewood Acres (Vacaville). Meat products are sourced from Tara Firma Farms (Petaluma), and fish is sourced from Real Good Fish, which supports sustainable fishermen/women up and down the California coast. While I have been ordering products based on consumer counts, I am more interested in knowing whether people would sign up in advance for dinners (similar to how a CSA operates). Would you pre-pay for, say, two months of dinners every Tuesday? I promise I won’t make mac & cheese. Special Thanks to Eatwell Farm, Lockewood Acres, Tara Firma Farm, and Real Good Fish for assisting with this project!